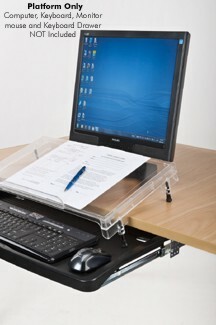 The REGULAR MICRODESK™ includes the accessories to make Step Microdesk. 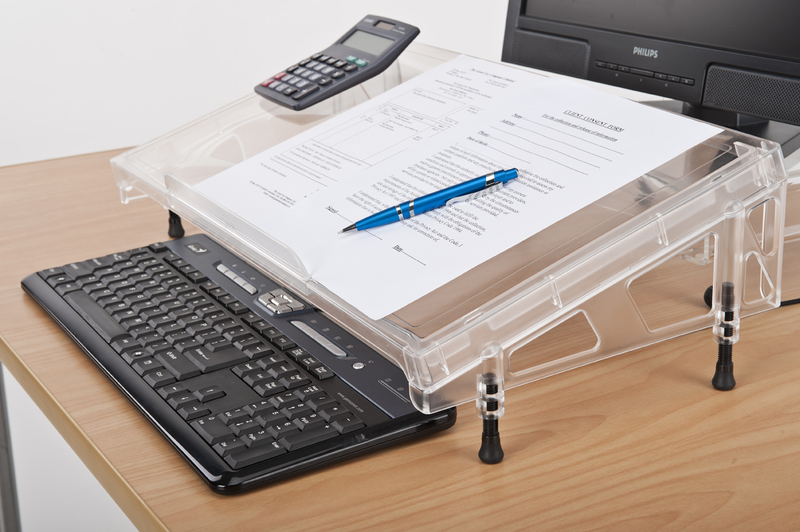 • Allows easy access to keyboard and paperwork at all times. For standard single-surface desks. Platform width 23". Use either with a keyboard tray OR on a level desk when monitor position is low.